The trend of smartwatches recently started and companies like Samsung and Sony came up with their models, but for these smartwatches to work properly, a person has to connect it with their respected smartphones. Even though the smartwatch offered by Samsung and Sony are techy and futuristic still there is barely any customers attraction towards them, merely because of the price tag and the availability of a smartphone that it connects with to work properly. Simon Tian and Aaron Wilkins owners of the project came up with their new smartwatch called the Neptune Pine on kickstarters. Where it already got funded around $273, 143,with 28 days left to run.This means that a lot of people out there are excited about the new smartwatch, because it smashes the line between smartphones and smartwatches. 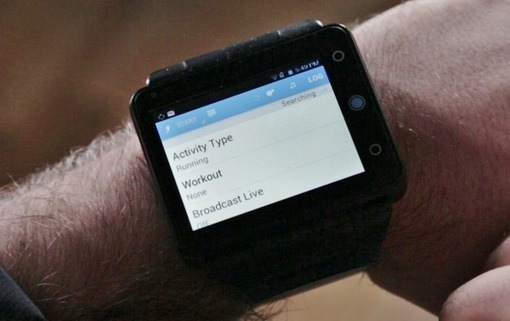 These are all the main features but it’s not all the smartwatch has to offers. You will be amazed at what the smartwatch can do, but above all others, the main thing is that it can make phone calls like a smartphone, just insert a micro sim and your set to go to call, send SMS messages and browse the Internet at 3G HSPA+ speeds. The smartwatch is said to come with Android Jellybean 4.1, so you will have no problem running all the apps from the android market. Apps work normally but on a much smaller screen as compared to smartphones. The Neptune Pine looks like a must have smartwatch and with the latest software and a decent hardware running everything would be such an ease. Earlybird specials were offering the smartwatch for $200 but they got all sold out, even though if you are still interested in purchasing this watch you can still get it for around $230 or $250 for the black or white 16GB model. The Neptune Pine costs half of what the Galaxy Gear costs right now, but then the problem is that will everyone be interested in wrapping a giant watch around their wrists.